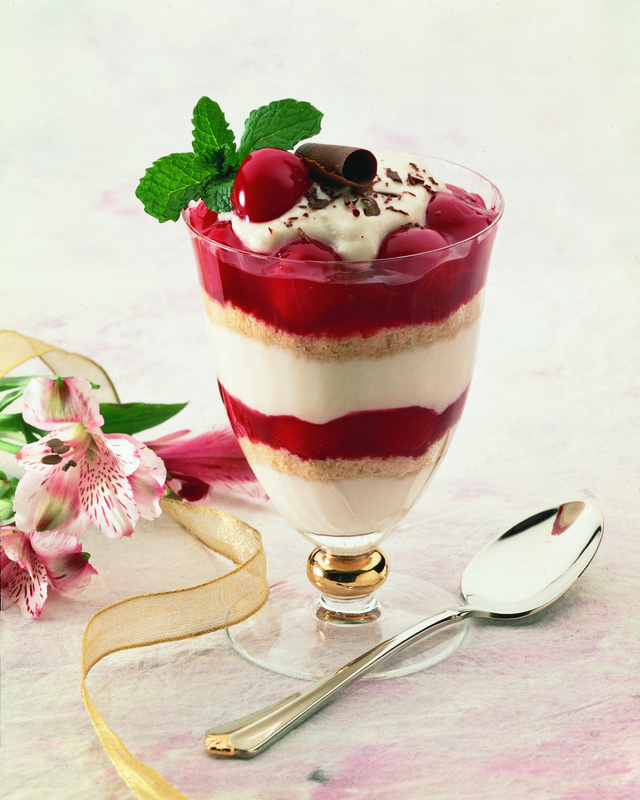 Smooth and easy describe this layered cherry dessert that is a variation of an Italian classic. Put ricotta cheese, confectioners’ sugar, sour cream and coffee liqueur in a large mixing bowl; stir to mix well. Set aside. Put cookies, a few at a time, in an electric blender or food processor container. Process until finely crushed. You should have about 1 1/2 cups of cookie crumbs.